We can print Large Format Printing onto a variety of materials from adhesive decals, banners, posters through to canvas, and much more. The different choices mean you get the best possible Large Format Printing material for your application. Our large format printers give you an image area of up to 52” wide by as long as the roll goes and prints at 1440×1440 resolution, which means your image will be vibrant and clear! 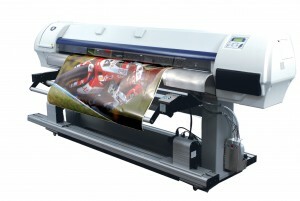 Come in and experience the Creative Factor, Large Format Printing, difference today! Specialty colors; Metalics, Chromes.. etc, are custom quoted. 13 oz. Banner material – thick and durable with vivid color. replced graphics and water resistant. 3 Mil Adhesive Printed Vinyl. Ideal for mounting on translucent surfaces. for all long term outdoor usage. carry case and weighs less than 10lb. 5/10 day turn around on Large Format Printing .